Our Habitat Partnership 2017 Experience was Great! This project, inspired by our Growing Families program, was for all parishioners! 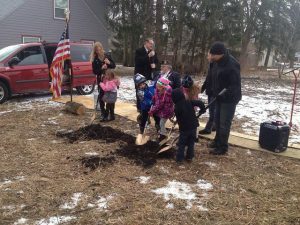 The house was dedicated in early November and we provided gifts prepared by parishioners of all ages! CLICK HERE to see more pictures of the construction on our website gallery. CLICK HERE to learn more about Habitat for Humanity in the Mahoning Valley! Youth Registration Form: For teens, ages 14-17, who want to volunteer at the construction site. Complete the registration form by clicking the link above. Take your registration form with you on the day you volunteer at the construction site. Adult Registration Form: For adults, 18 and older, who want to volunteer at the construction site. 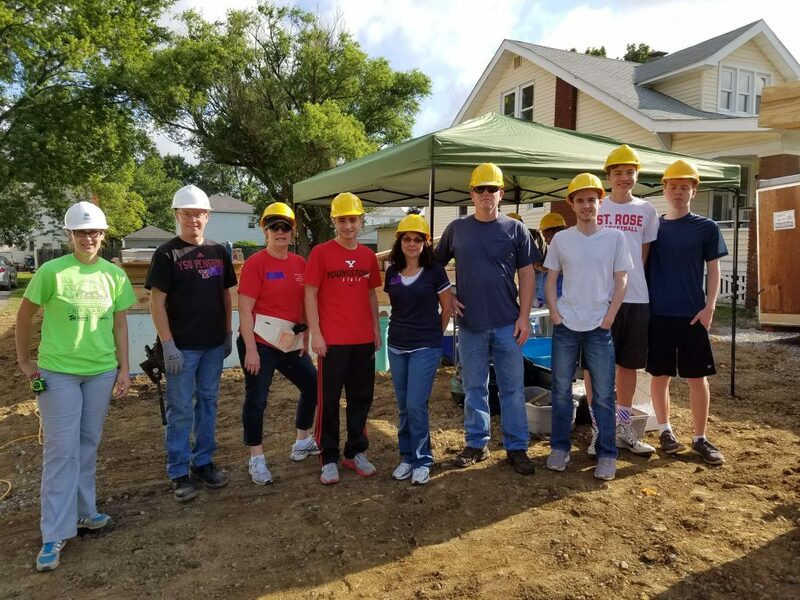 CLICK HERE for information about how to prepare for your volunteer day at the construction site. How Can a Family in Need Register to Purchase a Habitat House? Do you know a family in need of safe and affordable housing? CLICK HERE to access the registration form for families who would like to apply to purchase a Habitat for Humanity home. Email jim@coachingtoconnect.com for more information!